Ad-hoc teachers continue to face barbaric rules of the university, even the ones denying them of maternity leave. The Delhi High Court has sought response from the Delhi University on a petition alleging that it was not granting leave to its female ad-hoc teachers. The petition, which was filed by a female professor of Sri Aurobindo College, contended that under the Maternity Benefit Act she was entitled to six months leave, the varsity refused to grant her the relief as she was not a permanent employee and was employed on an ad-hoc basis. The petitioner also contested that the Supreme Court had held that maternity benefits are available to all irrespective of the type of employment — permanent or contractual. Taking note of the submissions made by the petitioner, Justice Suresh Kait observed that according to the apex court judgement and the act, she was entitled to maternity leave and asked the lawyer on behalf of DU to take instructions on the issue. 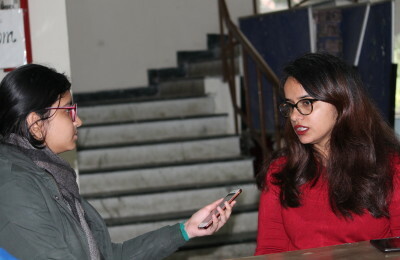 In her plea, the woman has claimed that she had sent several representations to the University since January 4 seeking grant of maternity leave as her expected date of delivery was February 22.However, DU failed to respond and she gave birth on February 3. According to her lawyer, the professor has been on leave without pay as the varsity did not sanction her request for maternity leave. The High Court has now scheduled another hearing on the 10th of April,2019. Previous PostMental Hysteria through Social Media Next PostHistorica, history society of Dyal Singh College (M) commences its annual Fest , Spartacus!